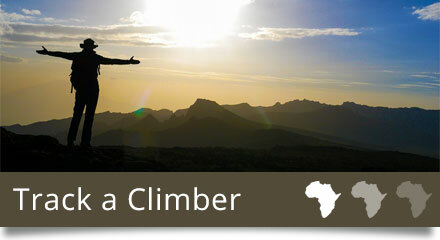 If it is your dream to summit Kilimanjaro, Africa’s highest mountain, you have come to the right place. Kilimanjaro-Experience is a German-managed, Tanzanian-registered and fully licensed company, based in Arusha, and has been conducting unforgettable Kilimanjaro treks, climbs and safaris since 2007. Let us take you to the Roof of Africa! At 5895m high, the majestic Mount Kilimanjaro is not only the highest mountain in Africa and one if the world’s “Great 7” summits, it is also the highest free-standing mountain in the world. This dormant volcano has drawn climbers from all over the world for more than 120 years. 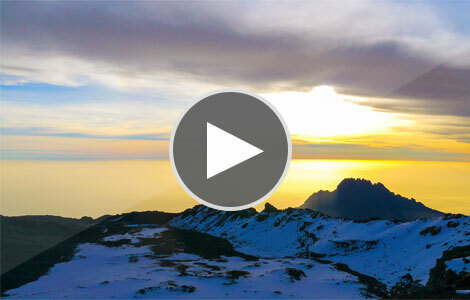 Aside from the striking natural beauty, the breathtaking vistas and sunsets and the distinct and often other-worldly ecological systems that are boasted by this snow-capped giant, Kilimanjaro’s popularity also stems from the fact that it can be summited without technical gear or extreme fitness, and fairly cheaply. You will need willpower, a sense of humour, a healthy body and a little bit of luck. Aside from that, with Kilimanjaro-Experience at your side there is nothing to stop you from standing on the roof of Africa, a moment that you will never forget. We lead the pack in terms of safety and professionalism. 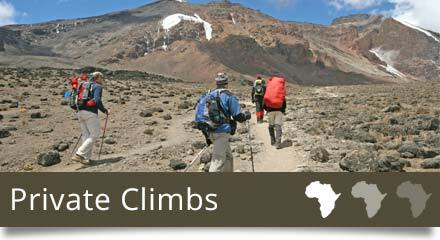 More than 85% of our clients successfully reach Kilimanjaro’s summit. We use only the best and most durable mountain gear and equipment. We do more to ensure that our porters and guides are paid and treated fairly. Our chefs are the best on the mountain. We always put you first, whatever your needs. At Kilimanjaro-Experience safety and professionalism are our main concerns – we never compromise here. Many of our guides have been on the mountain several hundred times; they know Kilimanjaro like the back of their hands and are fountains of knowledge about the mountain and anything it might throw at you. Along with the porters, they will go out of their way to ensure your comfort, good health and safety as you head up to Stella or Gilmans Point and then on to the summit at Uhuru Peak. Then, most importantly, they will make sure you are brought safely back down again. 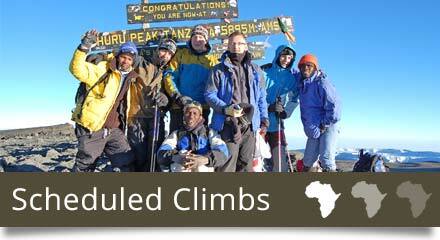 Our summit record is second to none, with roughly 85% of our clients successfully summiting Kilimanjaro. Our reputed cooks receive regular training from professional chefs and will see to it that you have as healthy and balanced a diet as possible while climbing Kilimanjaro. The meals they manage to prepare under such trying conditions – including a daily cooked breakfast and a hot, hearty supper – are nothing short of miraculous and will give you all the fuel you need to tackle the mountain. Kilimanjaro-Experience can also assure you that our porters are treated and paid fairly and are well-equipped on our trips. We use imported VauDe and Tatonka mountain tents to keep you dry even in the extreme event of a snowstorm. Before your expedition, our operation manager will do a thorough safety and information briefing and check your equipment. Our dedicated operation management team is on 24-hour standby to assist our mountain team in difficult situations or in the very rare case of an emergency. Again, we spare nothing when it comes to ensuring your safety and peace of mind when climbing Kilimanjaro with us, and make sure that any personal needs or issues are attended to as attentively and swiftly as possible. We put you first. “Seize the Day”, we often hear this cliché from the movie but don’t know what and how to seize it. Going up Kilimanjaro and opening our eyes to the spectacular safaris make us all seize every minutes during this trip. It was a lot more difficult than I planned, but the team was great, everyone just wants to help and try their best to take care of you. I really want to recommend everybody Kilimanjaro climb with KILIMANJARO-EXPERIENCE ! excellent service – very good food, very kind guides, reliable porters. The trip went totally smooth, everything was organized well, all people were really friendly. The food was incredible, the camping equipment we had was more than sufficient and my guide Eric was just perfect. We offer four routes to the top of Kilimanjaro, each with their own distinctive features and with an option to choose a private departure or a scheduled climb, depending on your personal needs. Nicknamed ‘Coca- Cola’ route and generally the most popular. Accommodation in rustic huts. Nicknamed ‘Whiskey’ route, this boasts stunning views of the summit. Accommodation in tents. Longer than the rest but certainly the most scenic route. Accommodation in tents. The least-used route and for private climbs only. Accommodation in tents. Apart from the normal Kilimanjaro Tours we offer special itineraries on request when clients want to sleep in the crater or traverse the Western Breach. Kilimanjaro-Experience is the sister company of Tanzania-Experience, which offers a range of safaris and tours. Combine Kilimanjaro with an unforgettable safari in the famous Serengeti and end it all off with a relaxing beach break in Zanzibar.